It seems extraordinary that in a year when, through our Roscoe Lectures and at various public ceremonies, we have been commemorating the outbreak of one of the most deadly conflicts in the history of mankind, with over 37 million military and civilian casualties, including 16 million fatalities, that we are also able to celebrate another anniversary, from that same year, 1914: an anniversary and a birthday which saw the beginning of a new life. Today, Ken Medlock is here, as a centenarian, celebrating 100 years of a life well lived, reminding us that even in the darkest moments of history the creation of new life represents a moment of hope. Ken regularly attends our Roscoe Lecture series and has been a wonderful supporter of the Roscoe Foundation for Citizenship. Where better to mark Ken’s centenary than here in the Roscoe Room of Liverpool John Moores University. 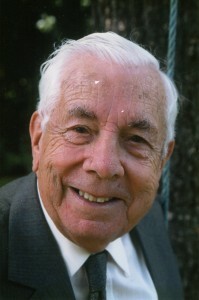 George Kenneth Medlock OBE, JP, DL, MIMechE, Companion of CMI was born on September the 10th 1914 and brought up in the working class valleys of the Peak District, Derbyshire, during the era of the printing and textile trades. He spent his early years in the small village of Birch Vale where his father worked for the Calico Printers Associations (CPA) printing works and where his mother had been a weaver. Like all children in the village, Ken attended the local Council School but at the age of 10 he was enrolled as a fee paying scholar at New Mills Secondary School. Despite his parents and teachers expectations for him to go further down the Grammar School education route, Ken was determined to be an engineer. So at the age of 14 he left school and started a 7-year apprenticeship as a mechanic at the printing works in Birch Vale, whilst attending evening classes at the Manchester College of Technology. After achieving his qualifications and now a member of the Institution of Mechanical Engineering (MIMechE) Ken moved on to work in the CPA’s Engineering Department. In 1938, with the demise of the printing and textile industry, Ken applied for and attained a position with the Cooperative Wholesale Society’s (CWS) Engineering Department. He became Chief Engineer for CWS Newcastle Region in 1946, returning to Manchester as Chief Engineer in 1951. Ken was appointed a Director in 1960 and then in 1967 he was appointed Deputy CEO responsible for the Non Food Division. He played a pivotal role in the re-organisation of the CWS and it was also during this time that Ken was appointed as Chairman of John Wisden & Co, Publishers of Wisden Cricketers’ Almanac (1960-1970). In 1971 Ken resigned his post with Cooperative Wholesale Society to take up a new challenge as CEO and Secretary of the Birkenhead and District Cooperative Society where he served until 1975. In 1972 Ken was one of the prime movers behind the establishment of Radio City in Liverpool. It was the year I was elected to the City Council and the year Ken and I first met. In 1973 he became Chairman of Radio City – a post he held until 1985. During his term at Radio City Ken was invited to join the Merseyside Chamber of Commerce (now known as the Liverpool Chamber of Commerce) and starting as Vice Chairman (shared) in 1982, he was then appointed as Vice Chairman in 1984 and subsequently Chairman from 1986 to 1988. During his time at Merseyside Chamber of Commerce Ken was asked to become involved with various Voluntary Housing Associations where he served from 1978 until 1998 on a number of modernisation projects. For some of that period I served as chairman of the city’s Housing Committee and once again our paths crossed and then, again, between 1985 and 1992 when, as a Liverpool MP, I met Ken in his role with INWARD and the North West Regional Development Agency (1985-1992). In 1988 Ken was invited to join the North West Channel Tunnel Steering Group where he continued his involvement until 2005. Throughout his life Ken has been involved in supporting a variety of Charities including Merseyside Kidney Research, Life Education Centres and children-related Charities, and he also played a major part in the Granada Television’s role in the ITV Telethon in 1988 and also in that year in Manchester’s bid to host the Olympic Games. Throughout his long life his parent’s values and work ethic have played a large part in shaping Ken’s own values and approach to his life and work. This has led to his many subsequent achievements, marked in 1989 by the award of an OBE by Her Majesty the Queen. In addition, in 1955, Ken was appointed a Justice of the Peace and has served as a Deputy Lieutenant of Merseyside. 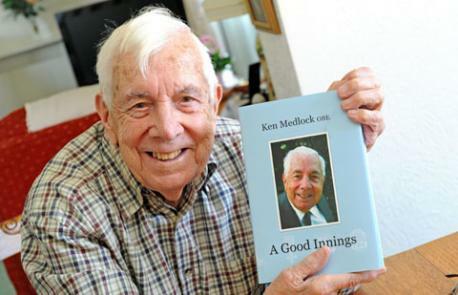 But no short account of his long life would be complete without a reference to Edna Medlock. Ken and Edna married in 1939 and have three sons, eight grandchildren and seven great-grandchildren. 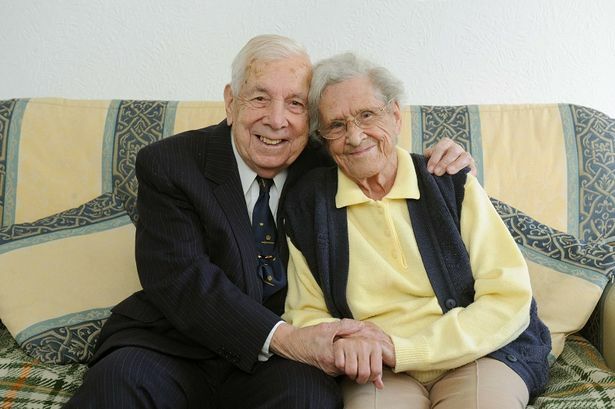 These wonderful soul mates have been married for three quarters of a century. Their first date was a trip to the cinema, a film titled Mrs Dale’s Diary: Evergreen. Edna reminiscences how they would sit downstairs rather than upstairs as it was cheaper because they were saving for their future. The total cost was sixpence for downstairs rather than a shilling. He became friends with Edna’s brother as the boys all played cricket. From then on he hardly left her family home. It was on an evening stroll when Ken popped the question and Edna did not hesitate to say yes. 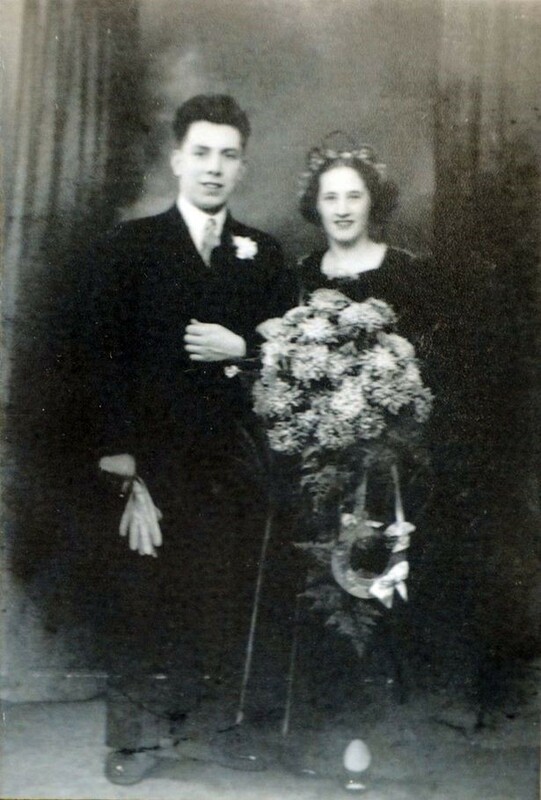 They would be married in 1939 at Mills Providence Congregational Church, in Derbyshire. Ken proposed on a Monday evening, they bought their house on the Thursday and their furniture on the Saturday. The war came close to their home with German bombs hitting a local hospital close to Edna’s parents’ but they escaped unharmed. Some neighbours were not so lucky and a girl, who was playing the piano was killed as well as a man in nearby allotments. His autobiography provides us with a rare and candid insight into his working and personal life; his involvement and influence in the Cooperative Movement; at Radio City; at INWARD and through the Voluntary Housing Associations and his charitable work. Ken’s autobiography provides a wonderful window into the challenges and the people he has met along the way. 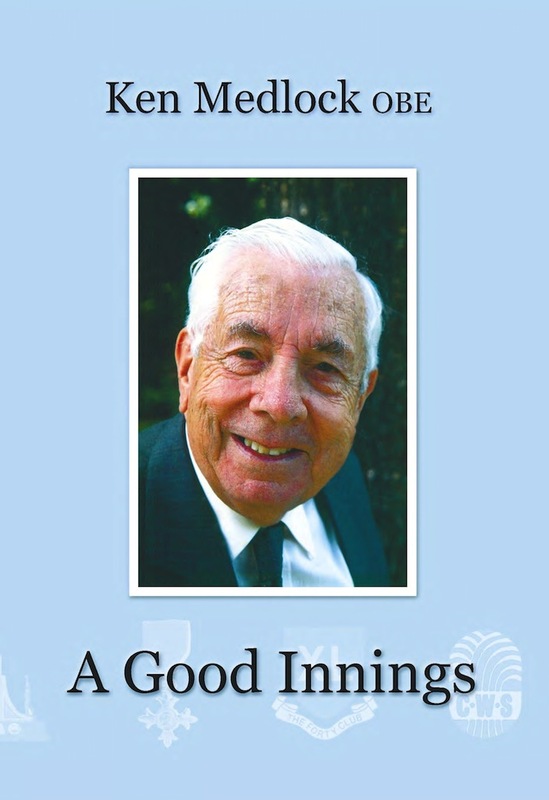 Outside of his work we see the love and respect for his family and of course, as indicated in the title of this book, his undying passion for his beloved cricket. I have no doubt that we are today celebrating the birthday of a truly remarkable man and in wishing him many many happy returns it gives us the opportunity here at Liverpool John Moores University to salute Ken’s example as a great citizen of this community, to thank him for all he has achieved, and to welcome him and Edna here to our Roscoe Room where his name will be added to the role of honour of those who have delivered this university’s Roscoe Lectures. The LJMU Roscoe Foundation for Citizenship aims to promote the development of ethical students and an ethos of citizenship in the wider community. Through the Roscoe Lectures, LJMU is able to give people from different walks of life the opportunity to exchange ideas, forge connections and hopefully gain greater understanding in a time of increasing diversity and change. Forthcoming lectures include lectures by (Baroness) Helena Kennedy QC, Jhn Flemming, Bill Sergeant, (Baroness) Valerie Amos, Michael Murpurgo and (Lord) Peter Hennesy.